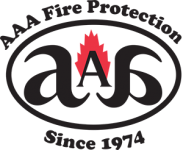 AAA Fire Protection Services is a local Bay Area company providing outstanding fire protection services throughout South San Francisco, CA and the surrounding San Francisco Peninsula communities. With more than 40 years of dedicated experience, our highly qualified team of fire safety technicians are ready to help with all your fire protection needs. We offer services ranging from fire extinguishers, fire suppression systems, fire sprinklers to kitchen hood cleaning, kitchen grease exhaust cleaning for businesses of all sizes.